With 1.5 million inhabitants, Daejeon City is one of the largest cities in South Korea. 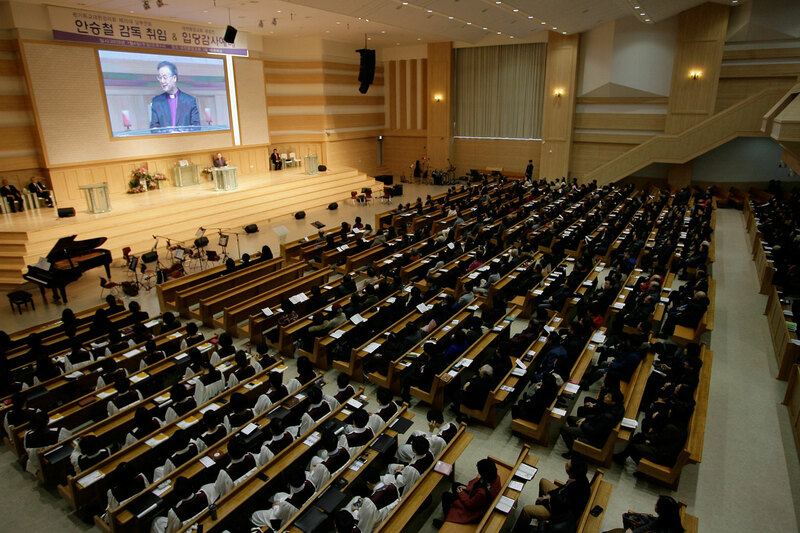 With several universities and colleges, Daejeon grew to be an important centre for the textiles, machinery and chemical industries. In 1993, the world’s fair was held in Daejeon and in 2002, three of the World Cup football matches took placed in the newly built Daejeon World Cup Stadium. 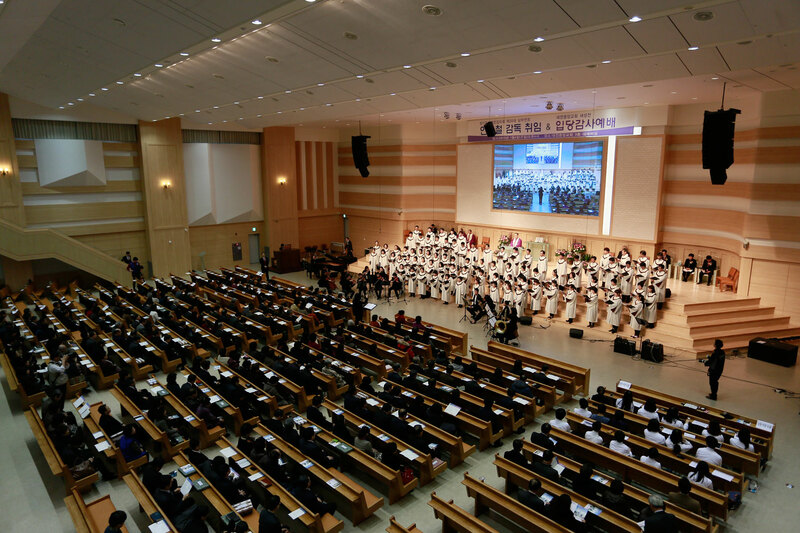 And through the now reformed church and religious community in South Korea, modernity has also entered the country’s churches. 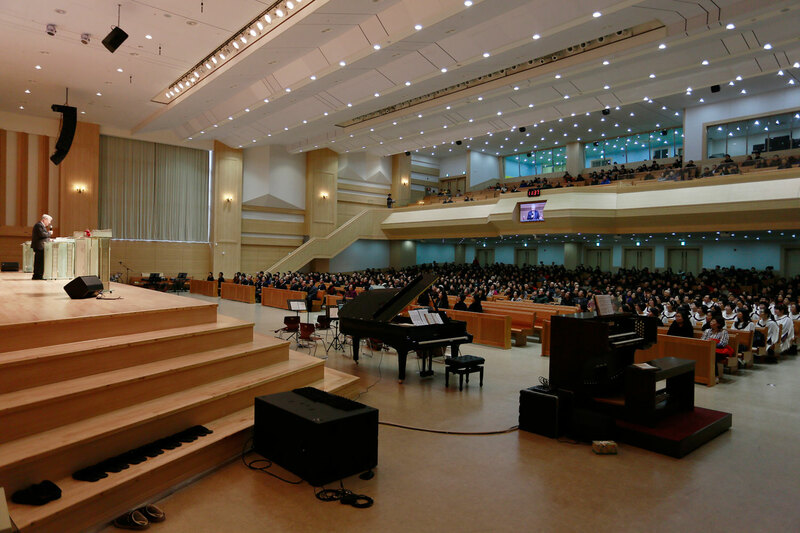 Situated in the centre of Daejeon City and easily accessible for the population, the Central Church provides room for up to 2,000 people on three levels. To properly fill the resulting large audience area with sound, precise simulation of the installation was needed in advance. Using the K&F software CON:SEQUENZA+ the corresponding line array parameters and speaker positions for the different loudspeaker systems could be calculated in advance. 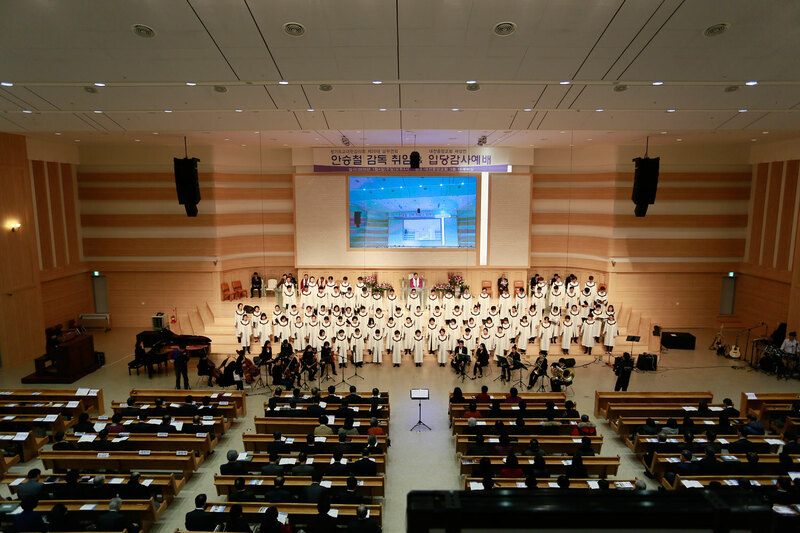 For the central sound system of the Daejeon Central Church, a line array system from the K&F SEQUENZA 10 and 5-series and a NOMOS XLT subwoofer for base support were used at both the right and left side of the stage. Through the short distance from the line array to the first rows of seats and the widely separated installation points of the left-right sonication, “Kusan Acoustic Co.,Ltd.”, the K&F distributor in Korea, chose a combination of six SEQUENZA 10 N systems, as well as two SEQUENZA 5 W systems as downfills. In this way, even the first rows of seats are provided with uniform sound and a high level of speech intelligibility. One K&F CA 1215-6 was included as an additional centre loudspeaker. To also direct the sound to the right point under the balcony, a further six decentralised K&F CA 106 units were installed. The entire sound system is operated with three K&F SystemRacks, consisting of K&F SystemController CD 44 units and Lab.gruppen FP10000Q amplifiers.